Hi everyone. My name is Heather and I’m a breadaholic. And then there’s Wonder Bread. Did you ever make little dough balls out of Wonder Bread? You roll it into little balls and chew it like bread chewing gum. Of course, my tastes evolved and I started on the hard stuff: sourdough, artisan bread, whole grain bread. I was in deep. I wanted more, all the time. Okay, I have to admit that when I first started going gluten free, I didn’t think I could actually do it. Give up bread? Seriously? Eat this mealy, crumbly dry excuse of a bread FOREVER?? ugh…. Another confession is that I don’t miss bread, surprisingly. I don’t even crave it. I used to crave carbs, a lot. I don’t crave carbs any longer. I don’t know if there are any studies out there about being gluten intolerant and craving carbs, but I know that going gluten free totally changed that for me, and changed it almost overnight. For every 1 cup of wheat flour, substitute 1/2 Cup of brown rice flour, 3 tablespoons potato starch, 1 tablespoon tapioca starch, and 1/2 teaspoon of xanthan gum. That should give you a good jumping off point to go with. The flour acts a little like flour. The starches give it a lightness and makes the final product less crumbly and gritty. On the King Arthur website, there are gluten free recipes and also a recipe for an all purpose flour that you can mix ahead of time and scoop out when you’re baking. Once you get a little comfortable baking gluten free, you can try a mixture of flours to get a nice taste. My favorite flour to use in bread is teff flour. It’s not easy to find, though and it’s expensive. You can shop around. Amazon.com has been a good tool for me because I live in a small town and it’s not alwasy economical to find things like teff flour. Teff flour tastes a lot like wheat flour, only better. It has a nice texture when it bakes and has a nice taste. I’ve also found that coconut flour and sorghum flour both bake well and have a good texture when baked. Almond flour works really well for making crackers with, but I’ll post that recipe another time. Overall, you won’t be disappointed in making your own baked goods. It’s actually easier than baking with wheat flour. One hint: don’t under cook gluten free baked goods because they will fall flat. Gluten gives flour a stiff structure that helps it to maintain that puffy shape. If you under cook gluten free flours, they won’t have the stiff structure to keep the poofy shape. I can’t believe I’m saying this, but bread isn’t the end all and be all of eating. There are a lot of gluten free things out there in the world that don’t require baking. 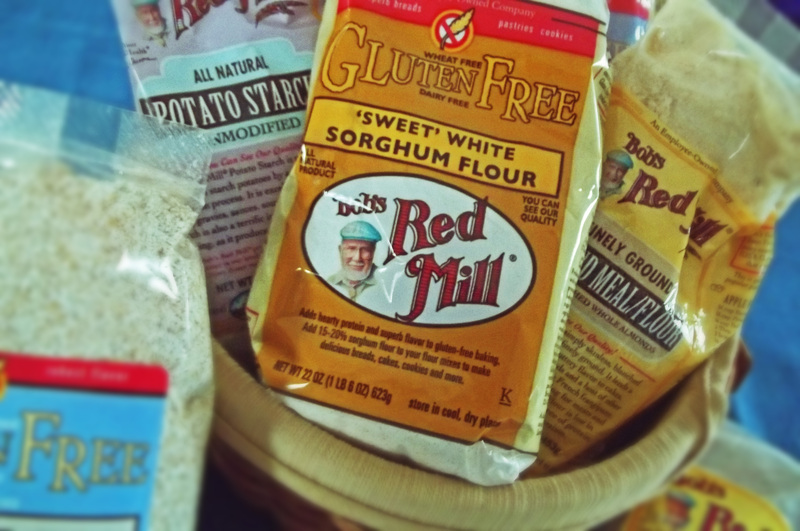 Starches like rice, millet, quinoa, potatoes are all naturally gluten free. I love rice pasta. What I’ve been doing in my life is adopting the philosophy that if God didn’t make then I shouldn’t eat it. I’ve been eating pretty clean, no preservatives. I’m trying to eat more organic things, although I don’t always quite have the budget for doing that so I pick and choose wisely. Hope this all helps. Happy exploring. 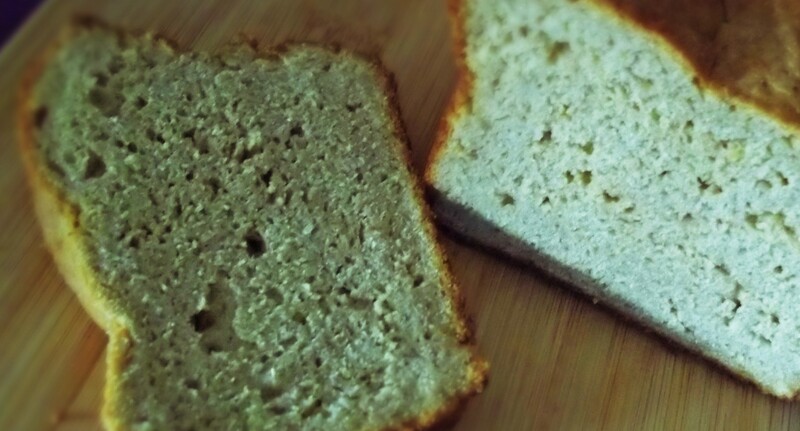 This entry was posted in Gluten Free Baking, Gluten Free Bread, Gluten Free Food and tagged Gluten Free Bakiing. Bookmark the permalink.